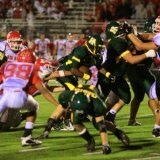 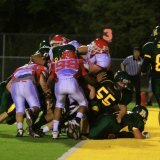 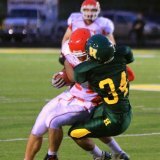 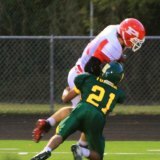 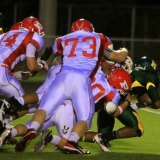 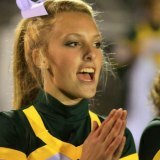 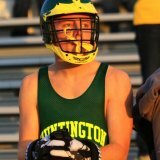 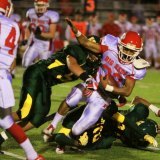 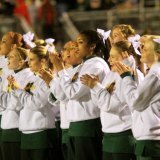 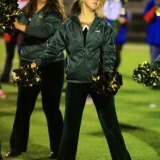 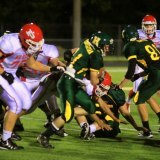 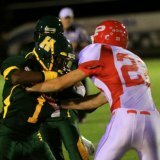 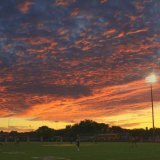 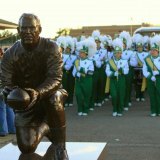 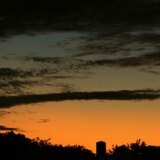 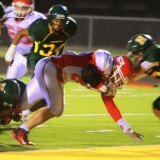 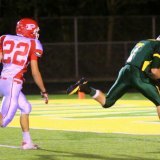 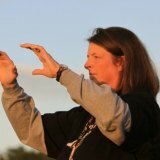 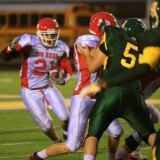 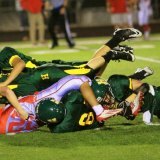 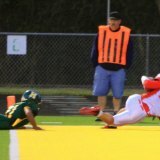 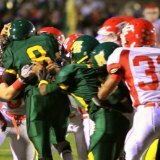 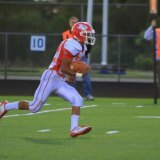 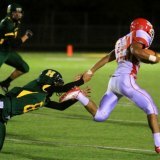 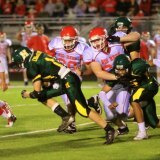 HUNTINGTON,WV(HNN) - Huntington High School came back from being behind 17-6 at the half to win over Parkersburg High School 27-17 at Bob Sang Field on Friday night playing a high school football game at home. 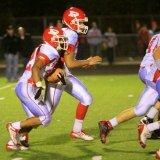 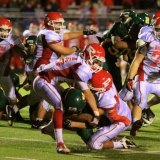 In the first half everything was going the Parkersburg way. 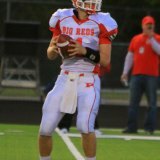 The Big Reds were up 17-0 and looked as if they were going to win this football game easily. 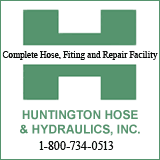 Huntington that had been playing with little emotion started to get that needed spark when Mark Shaver scored late in the second quarter with 4:23 left before the half ended to make the score 17-6. 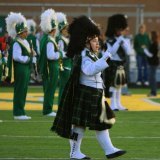 The Highlanders came out in the second half and played with emotion and determination. 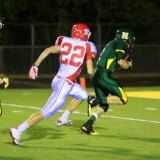 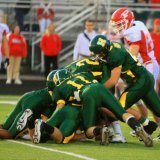 Huntington scored 21 points and the Highlander defense allowed no more Parkersburg points. 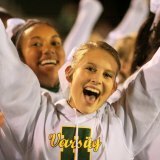 A look at the Huntington High fans and cheerleaders indicated they were enjoying watching this incredible come back as the Highlanders ranked 12 in Class AAA won over fourth ranked Parkersburg. 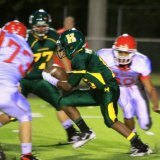 If Huntington High head coach Billy Seals can get the Highlanders to play an entire game like they did in the second half against Parkersburg certainly future opponents will be worried and a play-off spot will be likely for the Highlanders come November. 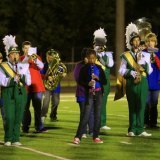 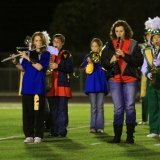 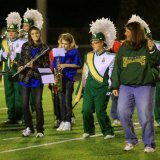 Middle school band students played with the Huntington High Band at half time. 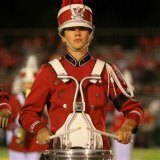 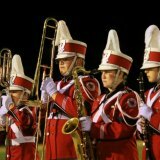 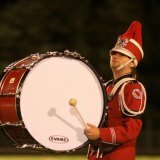 The Parkersburg High School Band also performed.